Orange gems are among the scarcest and without a doubt one of the most magnificent colored diamonds ever to be unearthed. We can all agree that their ember hue makes their presence warm and captivating like a roaring fire in a hearth. However, despite their beauty, orange stones are oftentimes overshadowed by their blue, red, and pink counterparts. So what allows them to compete with these heavyweights? Pure orange diamonds with no additional modifiers or undertones are extremely rare. 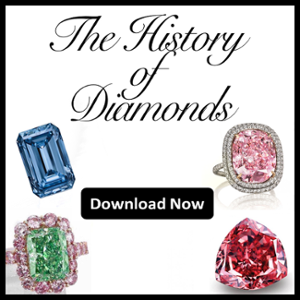 Additionally, only a hand full of such stones weighing over five carats have ever been discovered; two to be exact. We'll be taking a closer look at these in the second part of our tribute. As always, in this section of our Tribute, we will be looking at what gives these diamonds their beautiful color, how modifiers affect their value, where they come from, and of course, we will be explaining what a Pumpkin Diamond actually is. What Gives Them Their Magnificent Color? From previous tributes, we have seen that colored diamonds get their hue from the existence of chemical impurities in their molecular bonds, lattice deformities, or exposure to radiation. Orange colored stones belong to the first category. 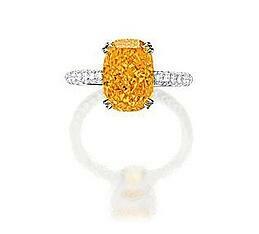 Similar to yellow gems, orange diamonds get their distinctive hue from the presence of nitrogen. But if nitrogen is the main cause of their color, why is one category yellow and the other orange? This is mainly due to the way the atoms are situated during the diamond’s formation. If the nitrogen atoms are scattered, the color of the stone will turn out yellow. However, if they are situated in a distinct arrangement (called hyper-specific) the atoms will absorb hints of yellow and blue light, thus emitting a beautiful orange hue. 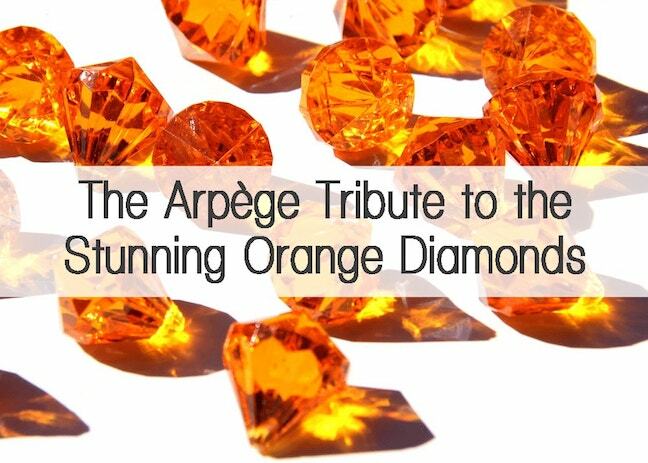 Pure orange diamonds are extremely rare and often yield very high price tags. However, stones belonging to this color category are most commonly found with secondary hues, also known as color modifiers. These mainly consist of yellow, brown, pink, and sometimes even red. 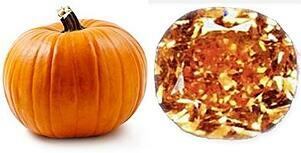 What Exactly is a Pumpkin Diamond? Similar to yellow (Canary Yellow) and brown (Champagne, Cognac, and Chocolate) diamonds, orange stones also have an unofficial nickname; Pumpkin Diamonds. This name was derived from the color’s likeness to the bright and vibrant hue of large ripe squash often seen in the seasons of autumn or decorated as Jack O’ Lanterns on Halloween. Like its yellow and brown counterparts, this nickname is given only to the highest quality, pure Fancy Vivid Orange stones. Generally speaking, faint and lighter orange diamonds are Type lb and the nitrogen atoms responsible for their color are evenly distributed throughout the stones’ crystal lattice as single entities. This is not the case for intensely saturated and rich orange diamonds. These stones are typically Type la, meaning their nitrogen atoms are grouped together in aggregates of 2, 3, or 4, often giving an infrared absorption spectrum. Where Do Orange Diamonds Come From? Orange diamonds can be found in a number of mines around the world including the famous Argyle Mine in Australia. 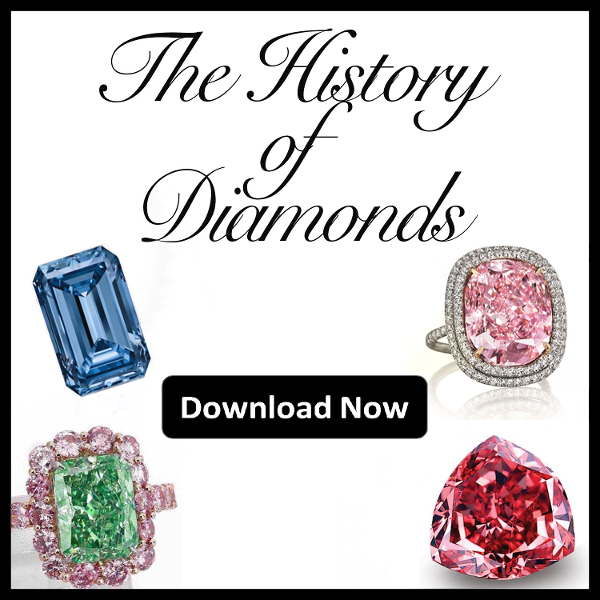 However, the greatest volume and highest quality stones are found in Africa; more specifically the Congo and mines in South Africa. This concludes the first part of our Orange Diamond Tribute. Don’t miss Part 2, where we will be looking at the 2 most famous (and valuable) orange gems of all time. Until then feel free to like us on Facebook and follow us on Twitter.